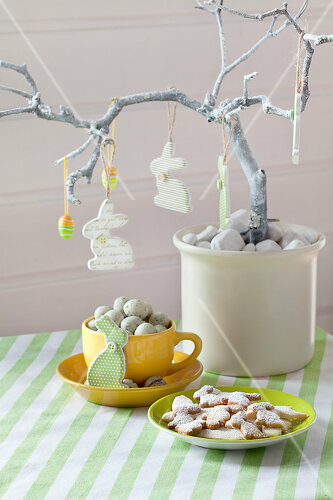 Holiday décor guaranteed to brighten smiles. 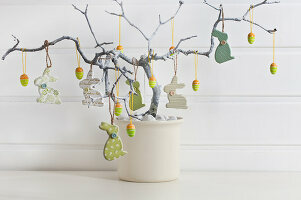 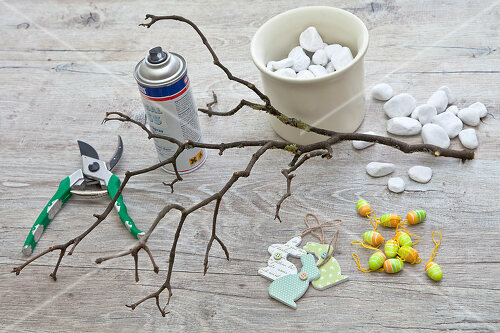 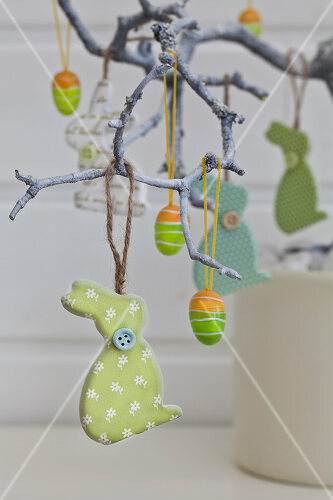 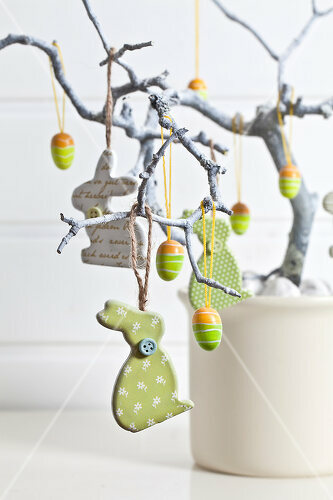 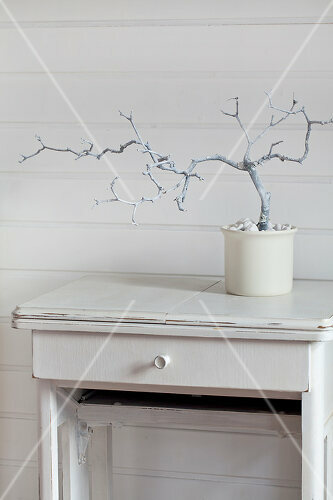 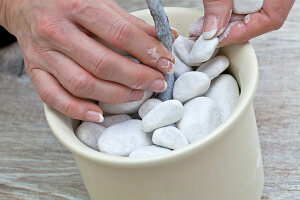 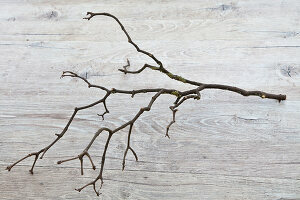 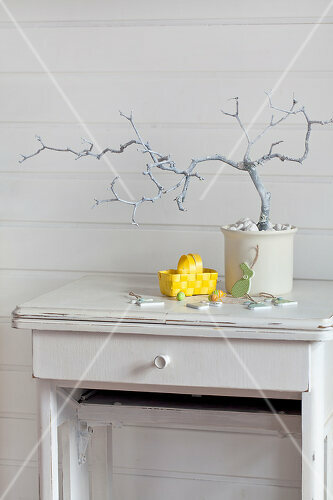 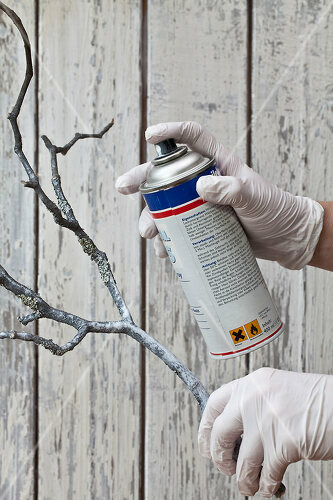 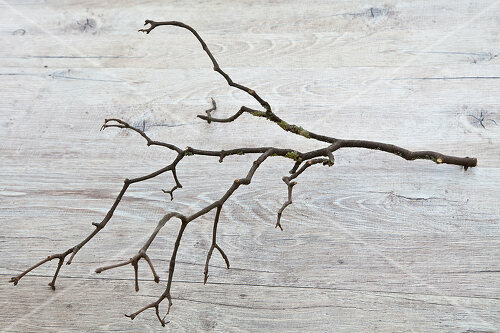 Create your own egg tree using a branch anchored in a pretty pot full of white pebbles. 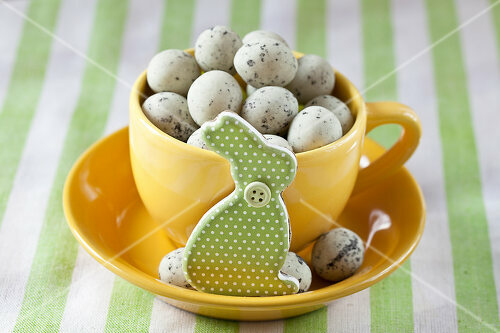 Or take a different approach using lovely speckled partridge eggs arranged in a cup. 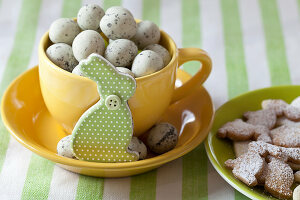 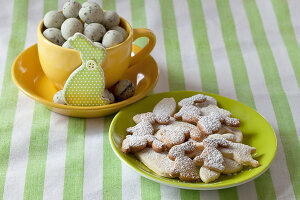 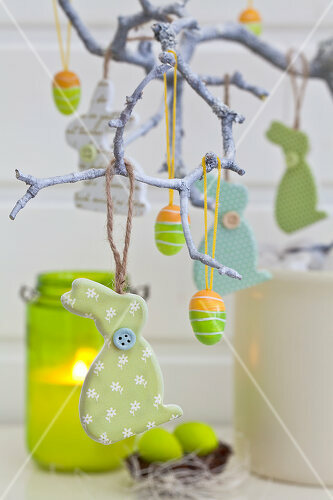 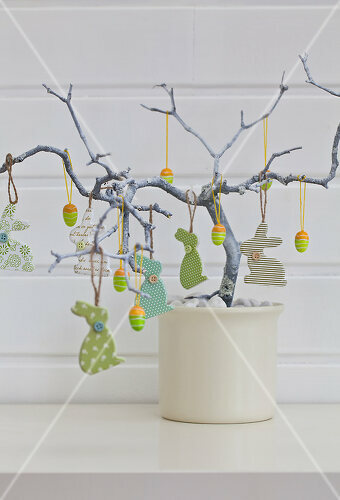 Complete the scene with paper rabbits or bunny-shaped cookies.